Minor changes to our site & new friends... "Bushcraft Essentials"
I wanted to let everyone know about some minor changes to our site, and introduce you to a new friend. Well, it turns out there is another company actually named Bushcraft Essentials, makers of what appear to be excellent lightweight stoves (and other bush gear) perfectly suited for use in the bush. We also sell stoves, but we carry Emberlit and Vargo. You can see the issue right? Our website uses the tagline "Bushcraft Essentials" but carry Emberlit and Vargo stoves - which are competitors to the stoves made by the company named Bushcraft Essentials. See the issue? Well, the CEO of Bushcraft Essentials saw it too, and reached out to us in a gentlemanly manner to alert us to the issue. They must protect their name and brand, so this is completely understandable. Before I talk about what we discussed and the resolution, let me dive down a legal rathole for a second to show what could have happened, but what we both chose to avoid. Legalities and avoiding conflict: We started using the tagline in 2010 informally and in 2011 officially. Before we used it, we did an IP search for copyright and trademark protections on it - and found no restrictions in the U.S.A. That means we were clear to use it, and we did. Roughly a year after this, the company Bushcraft Essentials registered the phrase as their international trademark, giving them the rights to use and protect it. See where this is going? We could legally fight the trademark in the U.S.A. (based on preexisting use), and they have a right and obligation to defend it. Had we come to conflict over this, someone would win the right to use, but nobody would really win in the end. This wasn't the right way to proceed, and neither party did. So, what did we do? Easy, we're removing the tagline from our site, we have no reason to fight it. The phrase quickly explains what our focus is, and it's a tagline for us but that is all. For the company Bushcraft Essentials however, it is their name and the trademark they're building their brand around. It is very important to them, and they're heavily invested in it. Bushcraft isn't about legal issues and posturing, it is a community of like minded people and companies, friendships, nature, exploration... Communities work together, and support one another so we are removing the tagline from our site, an easy decision. The outcome: The obvious outcome is our removal of the tagline, but the outcome you can't see is that I'm happy to call the CEO of Bushcraft Essentials our new friend. We'd like to introduce you our friends at Bushcraft Essentials, check out their line of stoves and products at: Bushcraft Essentials. FREE SHIPPING for the Saker Bushcraft Survival Knife by CRKT. FREE SHIPPING - We wanted to celebrate our launch of the Saker Bushcraft Survival Knife by CRKT. We really like it and want to give you a chance to like it as well. So, for the next week we will ship the Saker Bushcraft to you for free (Domestic US only). Just enter "freeship" in the Discount Code/Coupon box during checkout and the Saker Bushcraft will ship for free. Don't worry, it'll still arrive quickly using USPS Priority Mail. Click to learn more about the Saker Bushcraft Survival Knife. Note: For free shipping, checkout with only 1 or 2 CRKT Saker Bushcraft's in your cart. Other products, or more than 2 will cause the shipping system to add shipping. If you want other products, just checkout a second time with them - that way you'll get your free shipping for this fine tool from CRKT. Free shipping expires 2015-05-12. Check out this exciting new bushcraft knife from CRKT. You can see the classic shape with a true scandi grind and walnut handle scales. A simple design, time proven and brought to you at a price that won't break the bank. Check out out product page for more details. Just enter the Discount Code "Condor8" during checkout to get your discount. Applies to all our Condor products. We may end the sale early if we run out of stock, so get yours before they're gone. No coupon required, save $10 on the TOPS Shadow Tracker 2 now. Expires in a few days so act now. In Stock and ready to ship. This is our favorite TOPS knife. Click here to visit our Shadow Tracker Page for more Specs and Photos of this beauty. On Sale, save $10. In Stock and ready to ship. TOPS Sale; Save $10 on each Dragonfly and/or Tracker! On Sale now, take $10 off each TOPS Dragonfly 4.5 and/or TOPS Tom Brown Tracker T1, T2 or the amazing T3 in ATS-34. Our regular prices are low, but for a few days you can take an additional $10 of each of these knives. No discount code needed! TOPS Knives, Emberlit Stoves, Tarps, BK Knives, DPx HEST/F, Condor Knives - You Pick. Enter the Discount Code during checkout to get 10% off your entire order. Valid 11/5 to 11/7 only. 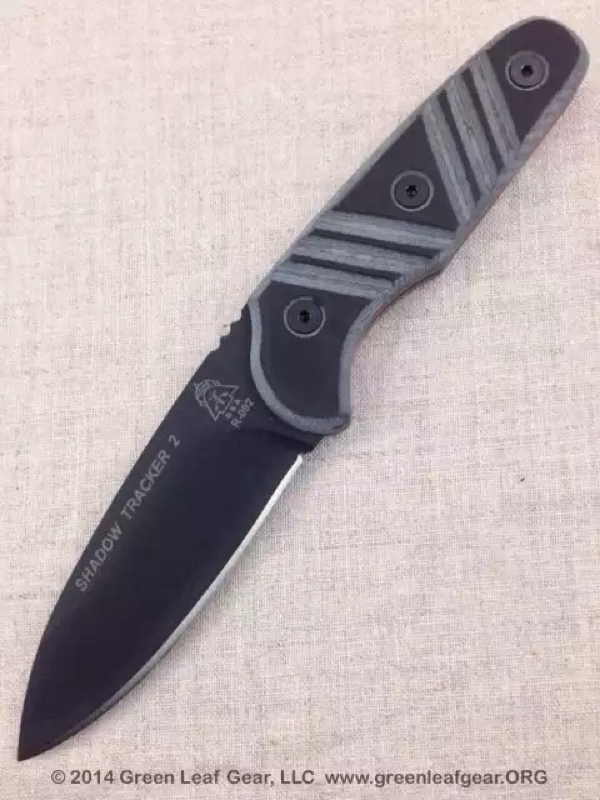 10% off USA Made Products; TOPS, Becker, Emberlit, ESEE and Doan... Celebrate the 4th with American Quality. 10% off Made in the USA Products! Expires July 5th. Discount applied at checkout to all regular priced Made in the USA products. Expires July 5th - Hurry! Celebrate the 4th of July by buying American Quality. Is that the TOPS Bushcrafter Kukuri? Yeah, it's here and 10% off! Just got in our stock of... photos and order form going live tonight. Stay tuned, we think you'll like it. You asked for it, and here it is. The Tom Brown Tracker T1 in Coyote. They're in stock and they're ON SALE at Introductory Pricing - no discount code needed. Hurry, we can't leave that price for long. The new Coyote color is absolutely gorgeous, we're really happy to offer it. We're a Native American family run business providing Bushcraft & outdoor skills and field tested gear.